It was like any other chore. I was packing my seemingly new clothes and other things I valued that wouldn’t take much space and add weight to my luggage. I wasn’t thinking much of what lies ahead. All I knew was that I can’t go back. I’ve heard of runaway brides or postponed trip. I can neither runaway or postpone a one-way flight. Much has been spent: money, energy, and time. Much was expected—from me. All was set and good to go. That was me when I left to live in Canada almost four years ago. I still sometimes think of what ifs. What if I didn’t leave then there will be no Lost In The Leaf City. I’ll be blogging about dog or crab hermit (which is not a bad idea at all). I hardly write about my personal story. Occasionally, if I remember, I infuse some factoids in my writing about myself but that was it. 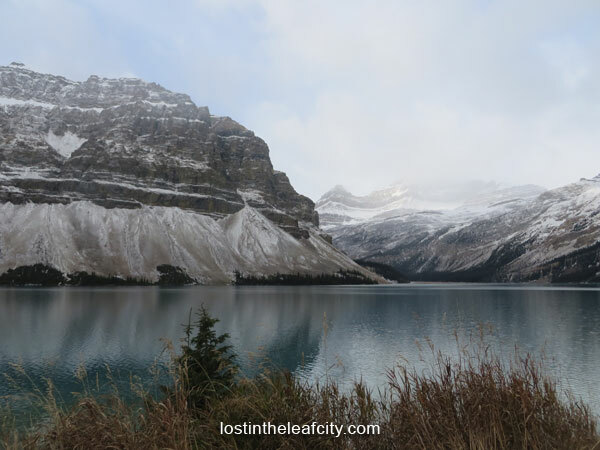 In between getting annoyed in fitting everything in my luggage and writing this blog post much has happened to me in Canada. And now it’s time to be more personal, the reason why I started to anonymously blog anyway. So when I revealed my name other than the “blogger.” People started asking for advice and tips. Some even thought I could book an appointment for them or help them in finding clients who want to come to Canada. I am NOT connected to any employment agencies in Canada. I’m a blogger fortunate enough to learn the stories of immigrants. And in this post, I’m going to be straightforward and a little bit harsh (just for now because I’m not by nature). I’m here to share stories on what it’s like to live in Canada for all the newcomers wondering and dreaming a life in the winter wonderland. The comfort zone ends here. Beyond this sentence lies the truth. Let’s get this straight. 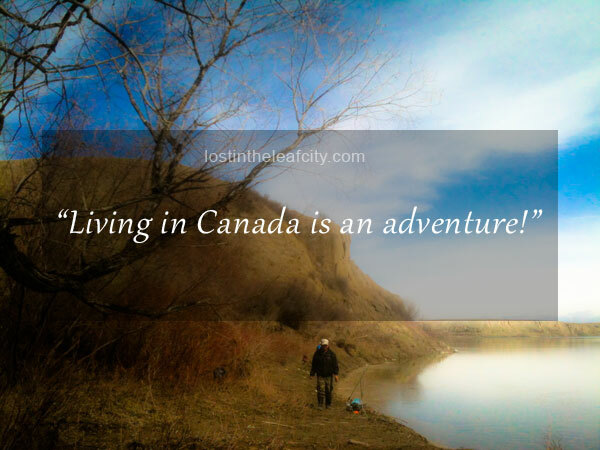 WHY do you really want to live in Canada? Is there an opportunity to work or study overseas or was it something else? Whatever the reason is, it has to be clear and decisive. Are you just leaving because you want to move somewhere else? Are you tired of seeing the same street signs that nobody wants to follow or store names that you stop wondering how the owner came up with? You don’t want to be part of the hustle and bustle of public transportation anymore? Everyone sounds like bees. You only pay attention to the announcement of the station’s name. Then one day you wake up with a grim on your face thinking of the waving flag of Canada. Snap out of it. Eat a hearty three meal for the day. Stop daydreaming. But when you start to think more often and already planning on how to go to Canada for months (maybe years) then it’s a different matter. You’re up to something serious but don’t over analyze things that doing a crossword puzzle or Sudoku will do you more good than thinking too much of what lies ahead. You will never ever figure out everything. Yes you can prepare. I know you have figure things out already or at least familiarize yourself with the important Canadian government agencies for immigrants. The job you want to resign since the first day of work. The tons of paperwork about immigration. Of course how can we forget about the friendly cozy feeling of familiarity. Everything is the same. Except that you are longing for MORE. Can the desire sustain and mobilize you to start anew . . . somewhere? Expect the culture shock. You will meet people from various cultural backgrounds; open mindedness helps in adapting and integrating in the community early on. As time goes by you’ll feel that you have a new home that experiencing a reverse culture shock is typical for anyone visiting his homeland. Workout even if you don’t want to. At some point, you will have to commute and walk (a lot) if you don’t have license yet. It’s a good exercise but will test your stamina and patience in winter. Nourish your body with healthy food and mind with positive thoughts. Others like meditation while I prefer biking, walking, and running (to catch the bus). Work your way out of the job market maze. This one is the toughest for some. You may not work in a field related to your job back home at first. It may or not take a long time. Some embrace a different field; others seek “Canadian Experience” or take a survival job. Caveat: underemployment is one of the reasons why immigrants ended up going back home. It’s a harsh reality that even with years of experience some settle for work that helps in paying the bills. Whatever your job is, take pride and know that it is only temporary. Don’t settle. Step up on the ladder. So you’ve gained perspective of the experiences of newcomers you might not have heard of but there are still more that lack space in this post. For us who have lived in Canada for years we rarely talk about the disadvantages except the weather which is a blessing in some days and always a perfect icebreaker. It’s not my habit to eavesdrop. I should have slept (this one is my habit) so that I wouldn’t hear the conversation. I was shocked. It was as if I heard myself saying the same words except the last sentence. I have NO regret in general or in the future. Why is that? Because I see faces of courage, faith, hope, and love. They possessed the ideal qualities of newcomers allowing them to surpass many trials. No uncertainties can stand on their way. No dream is too far to reach for their loved ones and themselves. Will you be one of them, an inspiration for everyone? Add your story in the list! I just found your blog. Just google searched if I’m eligible to apply for Dual Citizenship. Thank you for a very informative “read”. A thought came to mind to re acquire my Filipino citizenship recently. After reading your blog, I think I just might…not now, but in a couple of years:-) Thank you. Hi Esperanza. If you plan to retire in the Philippines and have benefits to claim then it’s best to get a dual citizenship sooner than later. I have a co-worker who is nearing retirement and thinking of dual citizenship after decades of becoming a Canadian. Good luck! I found your website when I was looking for a list of CTrain Stations. It was the only good list I could find and then I started reading your blog. Thank you for what you have written. I was born Canadian and have lived here all my life and I am glad to read what you have to say. You are very honest, carry on. I will be back to read more and pass your site on to others that may not be finding life in Canada or Calgary easy. I am glad you are here. Be Blessed. Thank you so much for your inspiring words. You and anyone who might stumble upon Lost in the Leaf City has always been my inspiration and reason to keep on writing. So I will keep on thinking out loud with words worthy of your precious time.